Based on the hit Tenchi Muyo! 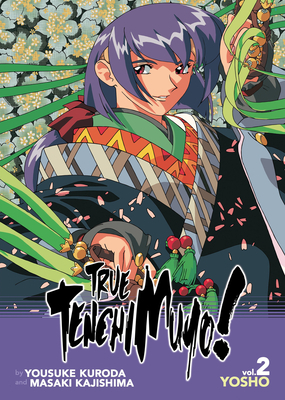 Ryo-Ohki OVA series, this trilogy of canonical light novels explores the lore that shapes the past, present, and future of the sprawling Tenchi Muyo universe. In this second novel, we delve deep into the mysterious past of Tenchi’s grandfather Yosho, discovering why he left his home planet of Jurai and how he came to find himself on Earth. Masaki Kajishima is a Japanese anime artist best known for Tenchi Muyo!. Yousuke Kuroda is a Japanese anime screenwriter and author best known for Tenchi Muyo!, Excel Saga, and Mobile Suit Gundam 00.